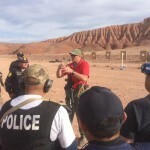 TAC*ONE mass shooting training courses are designed to address the threat of an active Shooter and other violent critical incidents at the workplace, on school grounds, college and university campuses, shopping malls, or churches. Law Enforcement, Tactical Officers, Campus Police and Private Security will learn how to effectively deploy in a Rapid And Immediate Deployment formations and alone if needed to address a threat of an active aggressor. 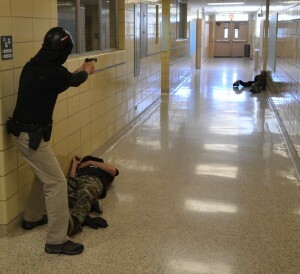 Active Shooter Response is a hot topic among most law enforcement agencies and our training staff at Tac*One Consulting has been there and has the experience to prepare your staff. We work with all forms of law enforcement agencies from smaller police departments to larger sheriff trainings and individual law enforcement officers that wish to be trained on their own. Please review the active shooter training course descriptions below to figure out which satisfies your current training needs. If you wish to see what we already have planned on the books, check our Upcoming Scheduled Trainings. 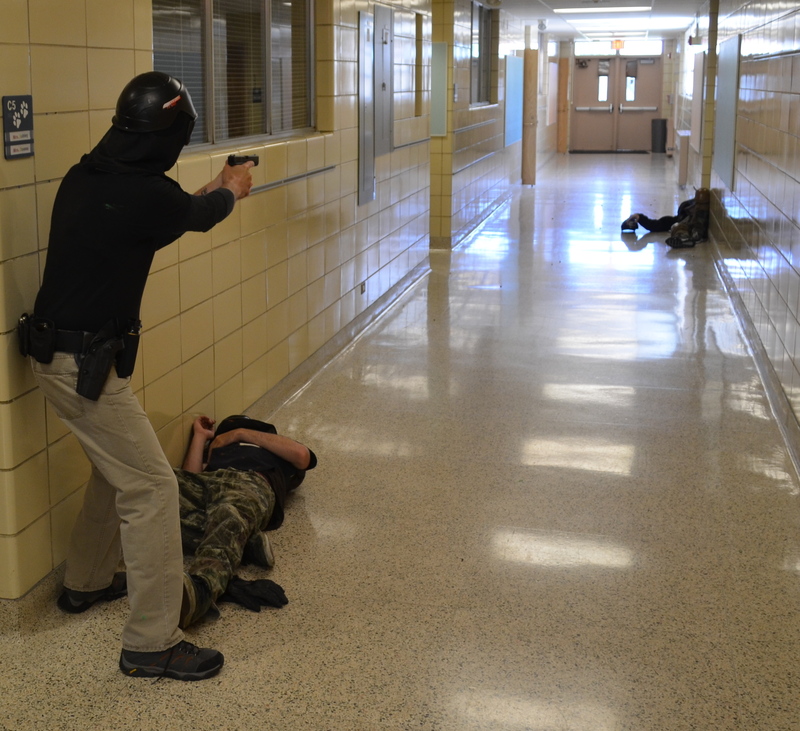 An aggressive training course designed to prepare officers to effectively respond alone, and in pairs to an active shooter. The “Lone Wolf” will cover the theories behind life preservation and the one/two officer response to an active shooter. Our Simunition®-based scenarios will teach students how to apply those theories correctly. Training will emphasize successfully engaging the threat, and how to stop the loss of life. 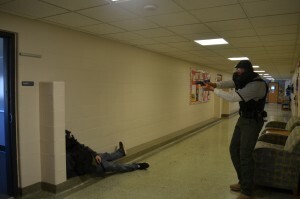 At the end of this program students will have the knowledge, mindset, and skills necessary to aggressively and safely respond to an active shooter situation alone or in pairs. Designed with lessons learned from “ground zero” at Columbine, Platte Canyon and Deer Creek school shootings here in Colorado. Our active shooter program has continued to evolve over the years ensuring your officers, agency and community are prepared to effectively deal with an active shooter. From the first initial gunshots to the arrival of the first wave of responders, our program covers it all. Attendees will be provided with the curriculum and skills needed to instruct and maintain an effective “reality based” active shooter program at their respective agencies. Tactics taught are single to four officer responses so that no matter what the situation or size of agency your staff will be prepared. Your agency’s performance within the “Zero Hour” will define it for years to come. Our aggressive program will ensure your officers are prepared for the call of their careers while taking it one step further to prepare your communities, as well. Attendees will learn how to prepare your local government employees with our aggressive “Beyond the Lockdown…”, a program with a proven life saving track record. “Force on Force” driven use of force isolation drills incorporated throughout will help instructors identify individual strengths and weaknesses. Single-Four officer tactics with a dedicated stand-alone single/two officer program. Designed with current best practices and trends in mind to fill the void left by other programs. We are currently looking for host departments for all of our law enforcement and civilian training curriculum. Please contact Joe for more information. 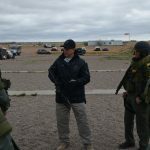 Our active shooter response trainings are available in Colorado where we are based or we can design a training program for your needs and come to you.